"This Easter Sabbath, I joyfully sing, 'Alleluia.' 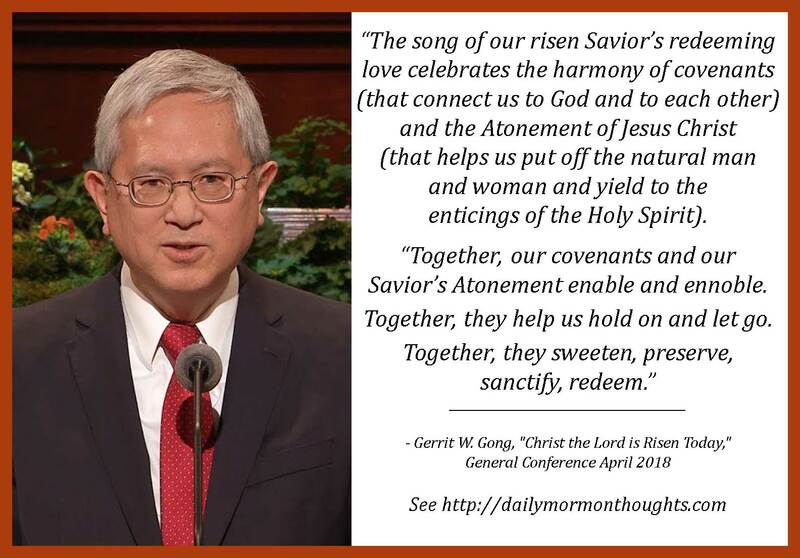 The song of our risen Savior’s redeeming love (see Alma 5:26) celebrates the harmony of covenants (that connect us to God and to each other) and the Atonement of Jesus Christ (that helps us put off the natural man and woman and yield to the enticings of the Holy Spirit [see Mosiah 3:19]). "Everything worthy and eternal is centered in the living reality of God, our loving Eternal Father, and His Son, Jesus Christ, and His Atonement, witnessed by the Holy Ghost. 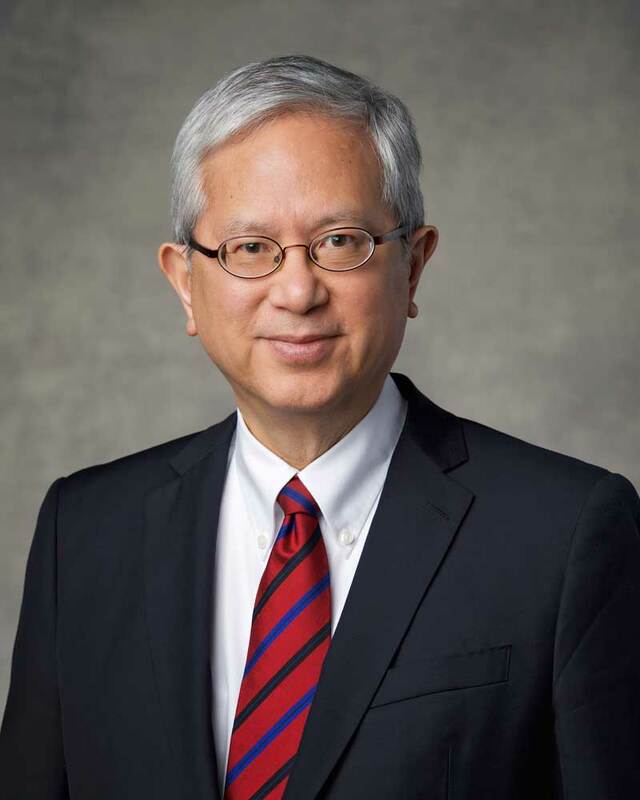 (See 2 Nephi 31:18)"
While his remarks were necessarily very brief, Elder Gong's choice of words shows us that we have good things to look forward to from him in future addresses. 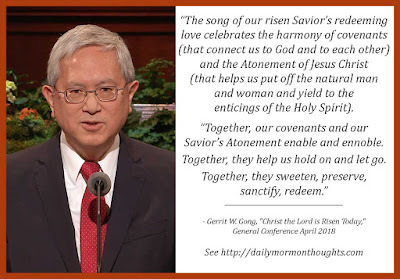 I love the vivid complementing descriptiveness in the words enable and ennoble, followed by the contrasting phrases hold on and let go in describing the ways the Savior's Atonement blesses us. Truly, as we contemplate the power and impact of covenants and Atonement, we feel the truth of Elder Gong's witness of how our lives are sweetened and enriched by their power.